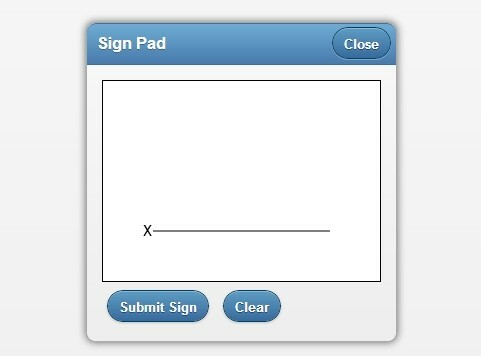 Signature Pad HTML5 is a jQuery, jQuery mobile and Html5 canvas based mobile signature pad that allows to draw signature and save it as a PNG for later download. 2. Create a button to trigger the signature pad. 3. Create the html for the signature pad. This awesome jQuery plugin is developed by ndce06. For more Advanced Usages, please check the demo page or visit the official website.